Where they are on MTD, QTD, YTD numbers? Do their pipelines have the right volume/velocity of opportunities? Are the sales people hitting their goals on prospecting calls, customer meetings, and so forth? Are they keeping CRM and other systems updated? You aren’t hitting your numbers, you need to get going! You need more deals in your pipeline! You need to up your prospecting calls hitting our daily call goals! You need to keep CRM updated! If it isn’t in CRM, it isn’t real! Monitoring provides no value to anyone. Technology provides a better job of monitoring than most managers can. Tools can tell me that I’m behind on certain commitments, that I haven’t paid attention to certain opportunities for a while, that my pipeline velocity is slowing down, that I have a meeting in 30 minutes. We don’t need managers wasting their time on monitoring and wasting sales people’s time on telling them what most tools are already telling them. 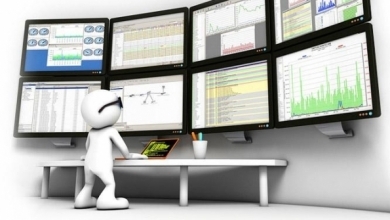 Monitoring, in this fashion, provides no value to anyone! Monitoring changes nothing! Yet too often, this is the behavior we see managers focusing on. The manager’s job is to maximize the performance of every person on their team and of the team as a whole. It goes beyond monitoring to understanding what’s happening, why, what’s standing in the way of people achieving their goals. The job is to coach sales people, helping them understand how they are performing, helping them learn what, why and how they might change to improve performance. Get our from behind your computer screens and reports. Talk to your people, understand where they need help, help them learn how to be better. Visit customers with them, understand barriers and roadblocks to their performance and remove them. You are most impactful when you help them learn how to improve their performance and achieve their goals. One of my all-time favorite subjects. Leadership versus Managing. I’ve been blessed to know some great leaders. Joe Sexton. Charles Wang and Arnie Mazur. Tom Siebel. My Dad. I’ve also known and seen many whose idea of leadership is to find a parade and jump in front of it. Manage and MONITOR and think themselves leaders. Some who would never come out of the safety of their offices to get shoulder to shoulder, to get beat up and bloody, to lead from the front in battle versus the front of a parade. I’d follow Joe Sexton anywhere. I did same with Charles, Arnie and Tom. I try to follow my Dad’s example. It’s messy sometimes. Mistakes are made. Victories are achieved. Relationships are built and hardened. Outside of the military, I think maybe sales managers have the greatest opportunity I can think of to be leaders!